In the last couple of years, the Supreme Court has had a lot to say about working women. Unfortunately, none of it has been good. In the past year and a half alone, the Court has made it harder for women to sue their employers for sexual harassment, limited the rights of home health care workers—who are nearly all women—to organize, and given bosses a religious trump card they can use to quash women’s rights to insurance coverage for birth control. But in the Young v. UPS case, which the Justices heard yesterday, the Court gets another chance to get it right. Unfortunately, the Supreme Court’s recent record on working women shows just how blind the justices have been to the realities of the workplace. The NBC Nightly News story about Young v. UPS included this scene of AFJ staff and others at a demonstration outside the Supreme Court. First, the Court in Vance v. Ball State University drastically narrowed the definition of “supervisor” for purposes of Title VII harassment claims to exclude lower-level supervisors. Your boss may be able to direct you to work late or to work the night shift instead of the day shift. However, if your boss doesn’t have the ability to take “tangible employment actions” like hiring and firing, then, according to the Supreme Court, your boss is actually your coworker, not your supervisor. This means your harassment claim will be evaluated under a much tougher legal standard. The National Women’s Law Center found that there are 17.4 million low-wage workers in fields with a lower-level supervisor. The fears that victims of harassment by lower-level supervisors would be denied their day in court because of Vance are being borne out. Since Vance, of the 120 reported sexual harassment cases in the federal courts, 43 have been thrown out because the harasser didn’t satisfy the new definition of supervisor. Second, one year after Vance, the Court decided in Harris v. Quinn that unionized home health care workers in Illinois, paid by the state through Medicaid funds, were not “true” public employees. Therefore, non-union members did not have to pay their “fair share” fees to the union for the benefits of representation they received from the union’s negotiations. During oral arguments, Justice Samuel Alito said that he did not understand why the “union’s participation” is “essential” in negotiations for wages and benefits with the state. He then authored the majority decision that will inevitably lead to the defunding of public home health care unions, since the union must continue to represent the non-paying, non-union members. This decision particularly affects women in low-wage jobs. According to the Economic Policy Institute, almost 90 percent of the more than one million home health care workers in the United States are women, for whom the median hourly wage is $10.21. Unions have the ability to boost the pay of workers, narrow the wage gap for working women, improve benefits, and lead the way in improving working conditions. However, after the Supreme Court’s decision in Harris v. Quinn, the benefits of union representation may soon be out of reach for many of these women workers. Third, the same day that the Court decided Harris v. Quinn, it struck a second blow to working women by concluding that the religious beliefs of certain for-profit employers give bosses the right to deny their women employees health insurance coverage for birth control, as had been required under the Affordable Care Act. In Burwell v. Hobby Lobby, the Supreme Court allowed the religious beliefs of some employers to trump the health needs of women employees. Although 99 percent of American women use birth control at some point in their lives, five men on the Supreme Court decided that birth control is different from other health care services. Over the summer, the Equal Employment Opportunity Commission (EEOC) issued new guidance on pregnancy discrimination, explaining that pregnant workers must be given reasonable accommodations when the employer is accommodating other workers who are similar in their ability to work. Employers cannot, for example, have a “light duty” accommodation policy that only covers workers injured on the job. A number of states have passed laws unanimously or nearly unanimously that provide reasonable accommodations to pregnant workers, and even UPS has revised its “light duty” policy to include pregnant workers, though it continues to deny any legal wrongdoing in the case of Peggy Young. No woman should have to choose between risking her pregnancy or her job. As Delaware Republican State Senator Colin Bonini, who helped lead the effort to pass the Pregnant Workers Fairness Act in his state, said, “We want to encourage women to be able to keep their jobs. . . . And we want to encourage women to have successful families.” In this case, the Supreme Court has the opportunity to finally make clear that employers may not treat women like second-class citizens. And the plain language of the Pregnancy Discrimination Act compels this result. Former AFJ Dorot Fellow Abby Bar-Lev is now a Fellow at the National Women’s Law Center, an AFJ Member Organization. On Monday, the Supreme Court heard arguments in M&G Polymers v. Tackett, a potential landmark case for retired workers who rely on their former employers for health insurance. A ruling in favor of the chemical company M&G could open the door for many other employers to walk away from decades-old commitments to workers, forcing countless retirees to find new ways to obtain needed healthcare. The case asks how courts should interpret union collective bargaining agreements that require employers to provide retiree health insurance. In the early 1990s, M&G negotiated with its unionized workforce and agreed to pay for retiree health benefits. Today, M&G argues that its commitment expired at the end of the contract term, and that it is accordingly free to cut or eliminate benefits. M&G’s retirees—like hundreds of thousands of other union retirees who have faced similar claims—argue that the company’s commitment was intended to last their lifetimes. The equitable case for retirees is compelling: they devoted their working lives to their employer with the expectation that they would then have health insurance to see them through their retirement.Unfortunately, though, their collective bargaining agreement did not state clearly how long their health benefits would last, opening the door to M&G’s argument that benefits were to last only until the contract expired. Still, the lower court ruled for the retirees, ordering that their health insurance be continued without changes. The problem with M&G’s position (and with the premise to Justice Alito’s question) is that it ignores history. Decades ago, when employers and unions negotiated the terms of most retiree health plans, these benefits were cheap. It may seem impossible today, but some insurance companies actually once offered retiree coverage to employers as a “freebie” to win contracts to cover active workers. That meant employers could use lifetime retiree health insurance as a low-cost bargaining chip to trade in negotiations with strong unions. That was then; this is now. Skyrocketing health costs have transformed those formerly low-cost benefits into major financial obligations, and benefits that were once easy to give now seem out of reach. One can understand why companies today regret their promises of the past. But regret does not void a contract. As the Supreme Court considers this important case, we hope the Justices look at the historical context of these agreements, rather than viewing them through the lens of what an employer might be willing to agree to today. A ruling making it easier for companies to reduce or cancel retiree health benefits would prioritize companies over their former workers, who negotiated and relied on their employer’s promises for the future. Retirees deserve better. Susan Cancelosi and Charlotte Garden are law professors at Wayne State University Law School and Seattle University School of Law, respectively. They filed an amicus brief in M&G Polymers USA, LLC v. Tackett in support of the retirees, on behalf of 34 labor and employee benefits legal scholars. GUEST BLOG: Can a boss force employees to wait 25 minutes for a security screening before they can go home—without paying them? On October 8, I attended the oral argument at the U.S. Supreme Court in the case of Integrity Staffing Solutions, Inc. v. Busk. The issue before the Court is whether employees should be paid for time they spend, after their shifts are over, waiting to complete a mandatory security screening used to see if the employees are trying to steal anything. Workers at Amazon.com warehouses, employed by Integrity Staffing, are required to undergo a mandatory search of their body and belongings before being permitted to leave the facility. The search, which is similar to that conducted at airports, requires employees to empty their pockets, have their bags searched, and walk through a metal detector. Long lines often form at the screening stations, requiring workers to wait up to 25 minutes before they can leave the premises. Counsel for Integrity Staffing Paul D. Clement characterized the wait time as simply a “logical part of the egress process” that did not merit compensation. He argued that the Portal-to-Portal Act of 1947, which amended the Fair Labor Standards Act, requires the screening to be an “integral and indispensable” component of the workers’ “principal activities” in order to mandate compensation under the law. Clement repeatedly asserted that the screenings were in no way “integral and indispensable” to the work the employees performed. He compared the screening to checking out at the end of the workday—an activity for which employees are not compensated. Curtis E. Gannon, Assistant to the Solicitor General, arguing for the government, agreed. He urged the Court to find that the screening failed to rise to the level of compensable activity. When pressed by Justice Ruth Bader Ginsburg for an example of how invasive a security screening had to be before it could be compensable, Gannon stumbled, eventually capitulated, and stated that he could not provide a specific example of when a screening would cross the line into compensable territory. Thierman reframed the discussion, distilling the Court’s inquiry to two questions: Is it work? If it is work, is it a “principal activity” requiring compensation? Although Justice Samuel Alito chastised Thierman for failing to argue whether the screenings were “integral and indispensable” to the employees’ work of packing and shipping merchandise, Thierman persevered, picking up steam as he continued. He focused his argument on the practical realities of the security screenings, arguing that they went far beyond a basic check-out process. He explained that had the employees been required to remain at their workstations for screeners to inspect them, the time would certainly be compensable. The warehouse workers, he explained, are “engaged to wait.” Because they are required to wait for up to 25 minutes each workday to be screened, he argued, they must be compensated for their time. The Justices, based on their questions and comments, appeared to be split along predictable lines, with Justice Anthony Kennedy’s vote hanging in the balance. The conservative justices appeared concerned with the abstractions of the law, while the liberal justices aimed to reconcile the law with the practical realities of the retail workplace in the 21st Century. Justice Elena Kagan focused her questioning on the anti-theft nature of the screenings, categorizing the screening procedure as inventory control. Justice Ruth Bader Ginsburg asked about what appeared to be the intentional shortage of screening staff that, as she noted, shifted the cost of conducting the screenings onto the employees who were forced to wait. 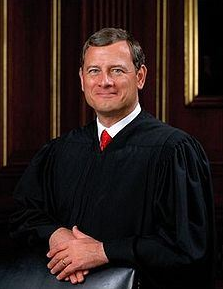 Justices John Roberts and Antonin Scalia both insisted that a “principal activity” could not include going through a security screening, because a “principal activity” must be an important, central function of the job. Justice Kagan asked one of the more interesting questions, positing a hypothetical based on real life. She said that there was a judge years ago in New York who required his law clerks to arrive early every workday to cut up his grapefruit and make his breakfast. She wondered whether the government thought that was compensable time. Gannon had to concede that it was. Kasey Burton is a third year law student at the University of Washington School of Law, in Seattle. She is externing at the National Employment Lawyers Association, an AFJ member organization, which filed an amicus brief in this case. » The AFJ report discussed in this post is available here. >>Analyisis of oral arguments using excerpts from Court audio is available here. Yesterday morning, I was privileged to attend Supreme Court oral arguments in Halliburton Co. v. Erica P. John Fund, Inc. This is the case where Halliburton is asking the Supreme Court to overturn a 26-year old precedent in order to make it infinitely more difficult for shareholders to stand up for their rights in court against corporations that have defrauded them out of their hard-earned money. Halliburton itself is accused by plaintiffs, led by an organization supporting the charitable work of the Archdiocese of Milwaukee, of making material misrepresentations to its investors on such issues as its asbestos liability, causing losses to those investors. As Thanksgiving approaches, we here at AFJ know that it can sometimes be a struggle to spark interesting conversation with the extended family and family friends who gather around the dinner table. But what is the one sure crowd-pleasing conversation topic? The Supreme Court, of course! (What else would you talk about?) So, to make the conversation a bit easier (if not a bit lighter), consider this post to be a “tip sheet” on what has been happening at the Supreme Court since the last big family gathering. Go ahead, we dare you to not be the life of the party with these snippets in your conversational pocket! No need to thank us; we can feel the gratitude. Beginning with a Blockbuster: In the Supreme Court’s very first week, it heard oral arguments in one of the year’s most divisive cases, McCutcheon v. FEC, a campaign finance reform case that challenges the constitutionality of aggregate individual campaign contributions. Some are worried that McCutcheon represents a “sequel” to Citizens United, in which the Supreme Court decided that corporations have a First Amendment right to free speech in giving unlimited funds for independent spending in candidate elections. Others draw a distinction between the two cases, arguing that there is a significant difference between the issue in Citizens United about limitations on independent campaign spending by corporations, and McCutcheon, which deals with direct individual aggregate contributions to campaigns and political committees. The Supreme Court has not yet ruled on the case and probably will not do so until early summer, so all we can do now is guess. In one of them, Burt v. Titlow, the Court has handed down a decision. The issue in Titlow revolved around a defendant’s Sixth Amendment right to effective assistance of counsel. In this case, the defendant had negotiated a plea deal with her attorney, then hired a new attorney. That new attorney advised the defendant to withdraw her plea before investigating the case at all. Consequently, the defendant received the longer prison sentence for murder rather than what would have been a shorter sentence with the originally-negotiated plea deal. The Sixth Circuit found that the second attorney violated the defendant’s constitutional right to effective assistance of counsel. The Supreme Court unanimously overruled the Sixth Circuit’s decision, finding that the Sixth Circuit applied the wrong standard of review and improperly “assum[ed]” ineffectiveness from a fact record that did not support that claim. Earlier this month the Supreme Court heard oral arguments in Burrage v. United States, a case asking whether a defendant drug dealer can be sentenced to a mandatory minimum of 20 years for “causing” a customer’s death when it is inconclusive that the drug sold by the dealer was the “but-for” cause of the customer’s death. In a guest blog post for AFJ, criminal defense attorney Steven Nolder argued that merely showing a drug contributed to an individual’s death—rather than proving that the drug sold to the customer actually caused the individual’s death beyond a reasonable doubt— should not be enough to sentence a defendant to a mandatory minimum 20 years in prison. The Supreme Court has not yet reached a result in Burrage. The Supreme Court recently heard arguments in a Fourth Amendment warrantless search and seizure case. That case, Fernandez v. California, tests the boundaries of law enforcement’s ability to conduct warrantless searches of an individual’s home after that individual expressly objected. Currently, if police ask to search someone’s home without a warrant, that individual may refuse to allow the police through the door. However, a roommate may consent to the search if the individual (whom the police’s actions are targeting) is not at home at the time of the police’s request. In Fernandez, the defendant did object to a police’s request to conduct a warrantless search of his home. However, after Fernandez was later arrested, the police returned to his apartment asking to conduct a warrantless search, and Fernandez’s girlfriend allowed the police in to search the apartment. Was Fernandez’s previous objection enough to ward off a future attempt by the police to search his home in his absence? Or can police officers return to a home as many “reasonable” times as they want in hopes of finding the individual absent and a consenting roommate present? If the Supreme Court decides the latter, it would create a powerful loophole for police to conduct warrantless searches of individuals’ homes.